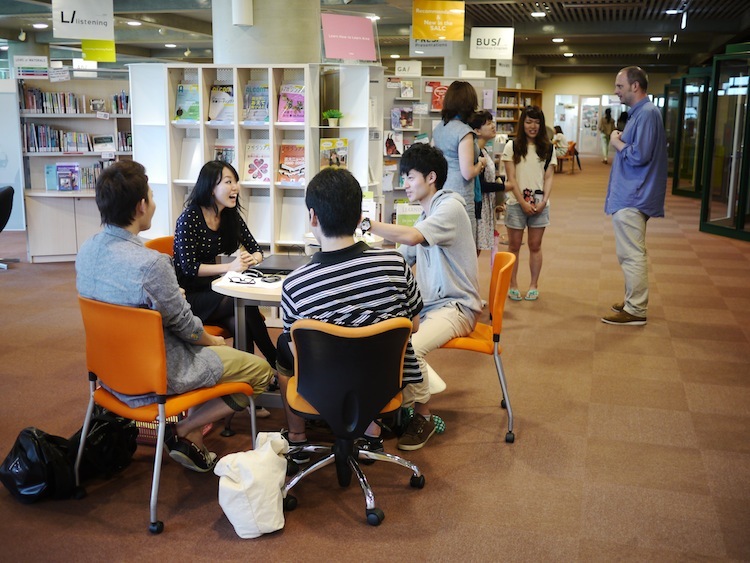 What does the SALC aim to do? What is its mission? What are our main aims? How do we achieve those aims? What are our key principles? 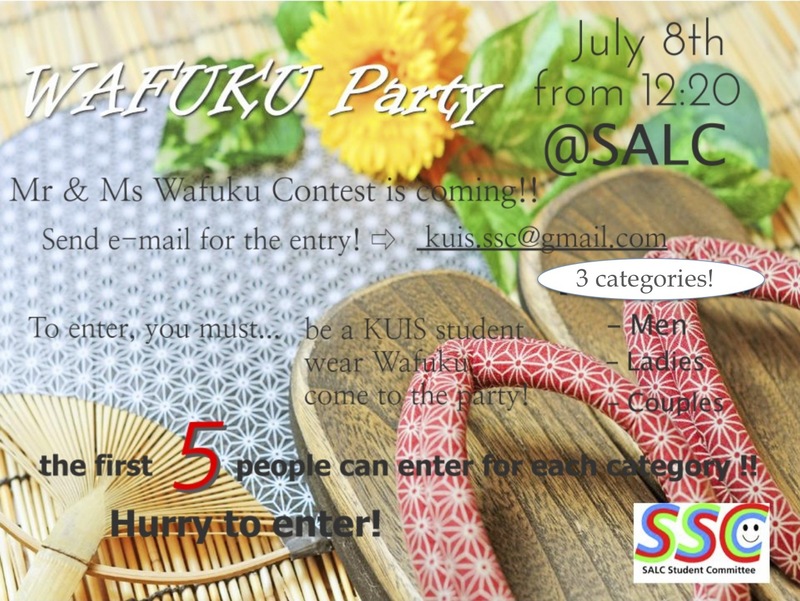 What is the relationship between the ELI and the SALC? Hello from your Saturday Open Campus team! We are doing SALC tours and a treasure hunt activity. 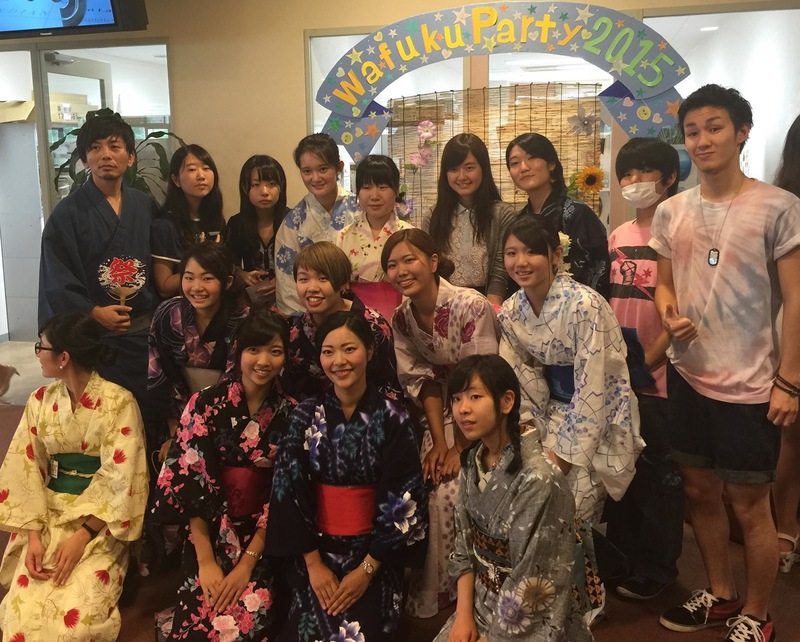 Congratulations to all the students who organised a successful ‘Wafuku Day’ last week. 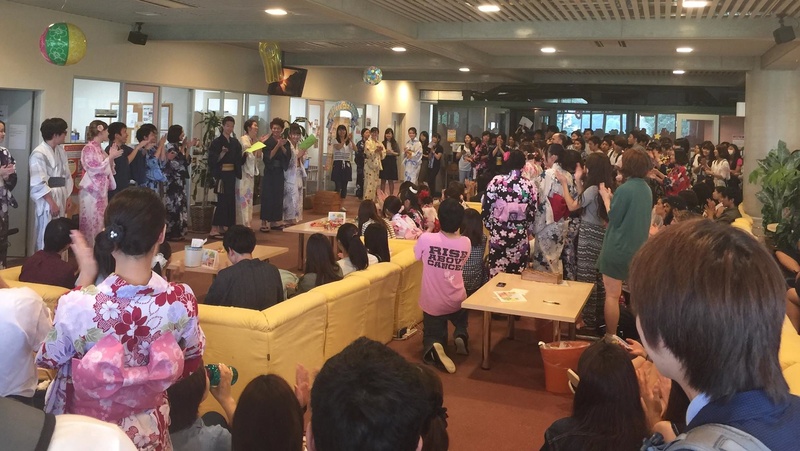 Hundreds of students and staff members came to the SALC wearing traditional Japanese summer attire and participated in the activities organised by the SALC Student Committee (SSC) and the SALC student staff members. 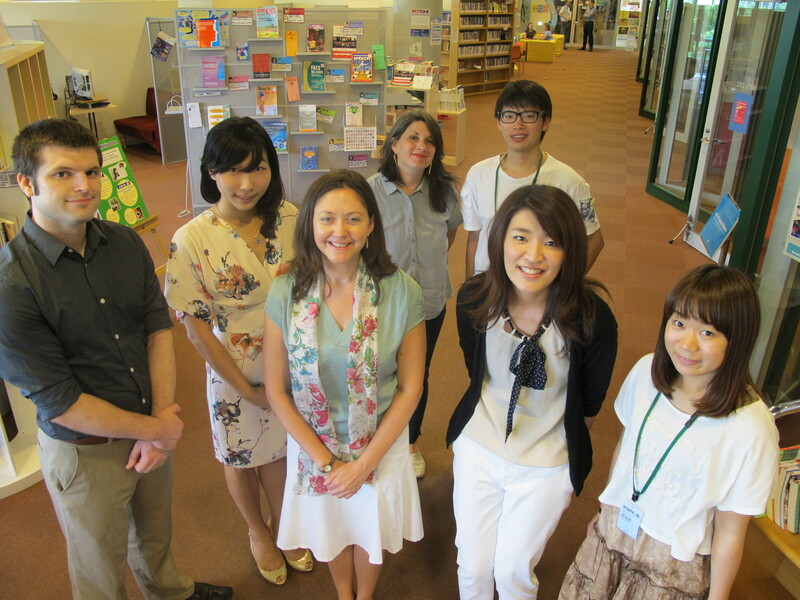 Learning Advisor Atsumi Yamaguchi presented a progress report of a three-year group project exploring English language instructions suitable for the EFL context in Japan, at the 45th Chubu English Language Education Society (CELES) Conference at Wakayama University from 27th to 28h June 2015. Her presentation, entitled A case study of Japanese learners on their English language learning tendencies toward input, practice, and production, argued the importance of form-focused practice activities especially in the EFL context, in that such activities may eventually enable learners to produce target forms in meaning-focused interactions. 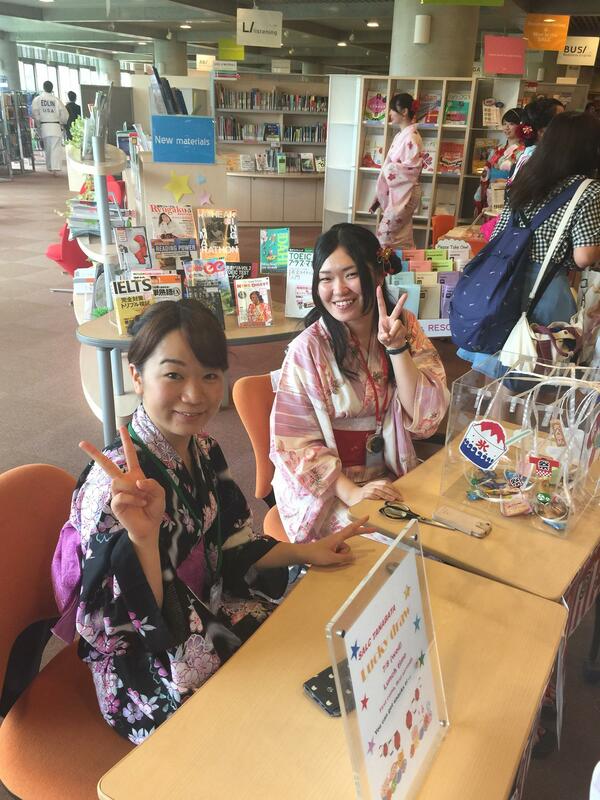 She welcomes any enquiries about her research and can be reached at yamaguchi-a@kanda.kuis.ac.jp. 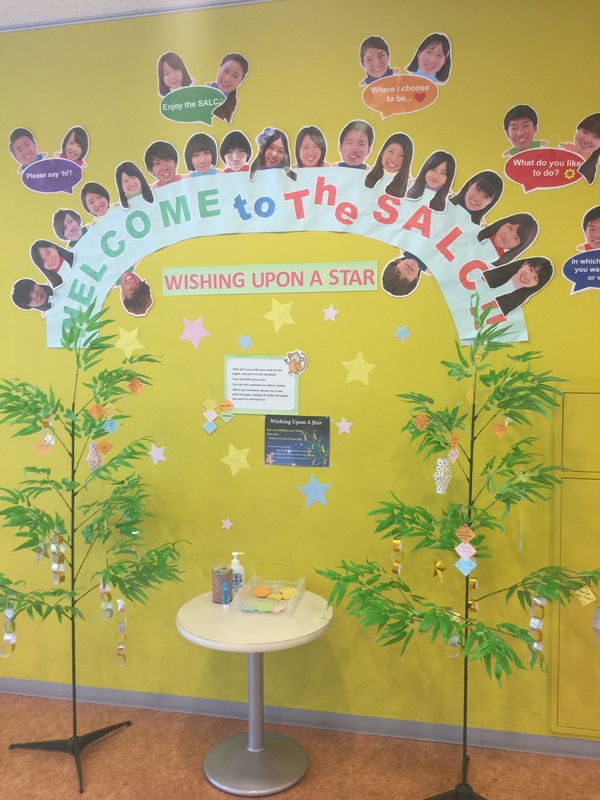 Our SALC student staff have been busy planning activities that aim to attract SALC visitors and engage students in interacting with others and feeling part of the community. One initiative is the ‘Tanabata Tree’. This is a clever twist on the trees that you often see around Japan this time of year as you are prompted to not only make a wish in English, but also to reply to someone else’s wish.